Written By: Anjali Talcherkar, M.A. According to a recent survey, 22% of teenagers log on to their favorite social media site more than 10 times a day; as the amount of time they spend online increases, so too does the probability of being exposed to distressing activities such as cyberbullying.3 Parents and other adult figures play a key role in monitoring adolescent social media use to help them avoid engaging in risky behavior as a result of that use, including substance abuse. 43% strongly or somewhat agree that they sometimes feel left out or excluded after seeing pictures of other people together online. 35% say they worry about people tagging them in unattractive photos. 27% say they feel stressed about how they look when they post pictures. 22% say they feel bad about themselves if nobody comments on or “likes” the photos they post. 17% claimed to have edited photos to make themselves look better before posting them online. Congress, in the Children’s Online Privacy Protection Act (COPPA), states that 13 years is the minimum age to create a profile on most social media sites.3 As a result, some pre-adolescents (and even some parents) lie about their age to create a profile. Parents should be wary of engaging in unethical practices because it conflicts with typical parenting messages about the importance of integrity.3 As primary care providers and common points of contact for health questions, pediatricians are in a unique position to help educate teens and parents about the potential pitfalls of social media use. Supporting parents in talking with their children about their online use and the various issues that today’s kids face. Advising parents to become better educated about the technologies and devices their children are using. Encouraging parents to openly discuss boundaries with their teens, as well as the need for a family online-use plan that promotes healthy online behavior. 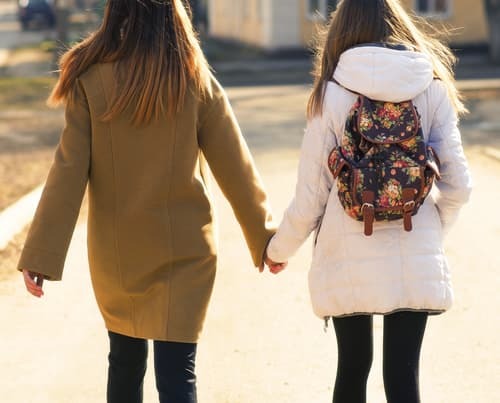 Adolescents can often be the target of online ads and predators since they tend to be impressionable and may not have developed a mature sense of discernment that allows them to make wise choices. Parents, educators, and healthcare professionals can work together to protect them from falling prey to those who wish to harm them via social media. 5 times more likely to have used tobacco. 3 times more likely to have used alcohol. 2 times more likely to have used marijuana. It is important to note that during the past 10 years, online social networking has created major changes in the way people communicate and interact. 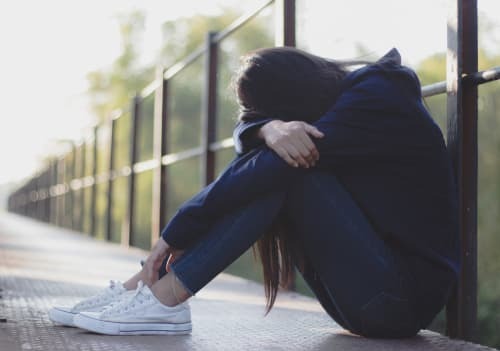 It is not certain, however, whether some of these changes are directly linked to psychiatric disorders, including substance use disorder and addiction.6 But if you feel your child’s social media use is cause for concern or if you detect a substance abuse issue, finding help right away is always a good idea. Creating a safe atmosphere of trust where their teen can openly talk with them. Teaching them healthy coping skills to deal with difficult feelings and situations. Having them immediately evaluated and treated if they show signs of mental health issues. Having them evaluated and treated appropriately if there is concern for or evidence of substance abuse. This begins with a healthy and open dialogue so that your children can learn to make good decisions on their own. 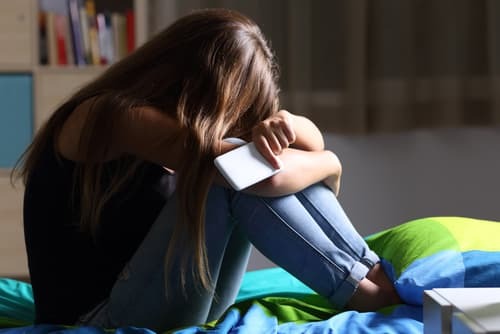 Encourage them to talk to you if they are being bullied, attacked, or sexually harassed, or if they are experiencing mental distress due to social media use. The only way you can help and advocate for your child is if you keep the lines of communication open and build trust with them. While the new world of social media and teens is creating problems their parents’ generation never dreamed of, coming together as a community to support and protect our kids is a smart way forward. Common Sense Media. (2012). Social Media, Social Life: How Teens View Their Digital Lives. HHS.gov. (2016). 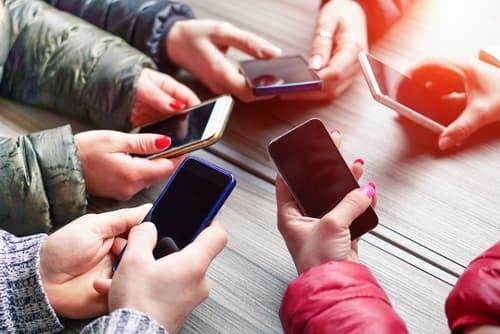 Teens’ social media use: How they connect and what it means for health. O’Keefe, G. & Clark-Pearson, K. (2011). The Impact of Social Media on Children, Adolescents, and Families. The American Academy of Pediatrics, 127(4). Pantic, I. (2014). Online social networking and mental health. Cyberpsychology, Behavioral and Social Networking, 17(10), 652–657. The National Center on Addiction and Substance Abuse. (2018). National Survey of American Attitudes on Substance Abuse XVI: Teens and parents. Eysenbach, G. (2013). Digital social media, youth, and non-medical use of prescription drugs: The need for reform. Journal of Medical Internet Research, 15(7), e143. Teensafe.com. (2018). Should Parents Monitor Their Children’s Social Media?